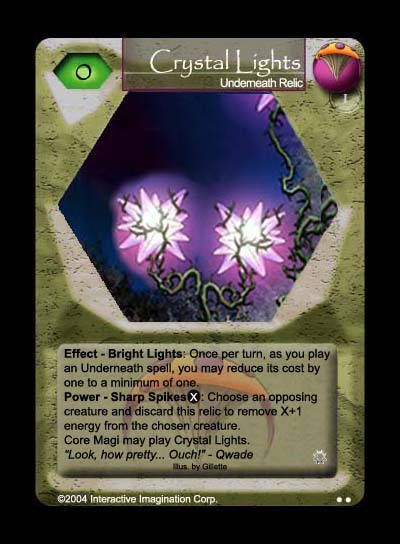 Underneath burn decks and creatureless decks have been popular on gEngine and this card is to cater to those decktypes. Not only does it reduces the cost of any of the Underneath spells, it also takes out a creature in its own right. The image is from the Core wallpaper on the official site, and hence the ability for Core Magi to play this relic.